When any Windows operating system is installed for the first time, the vast majority of the folders are represented by the same icon. 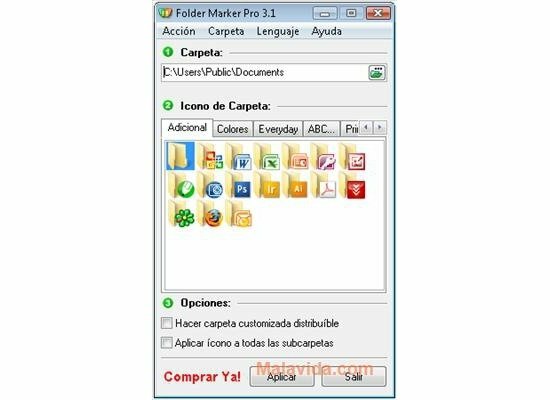 These folder icons can be customized and changed if you follow a series of steps, but if you want this process to be a lot easier, you can always use Folder Marker. 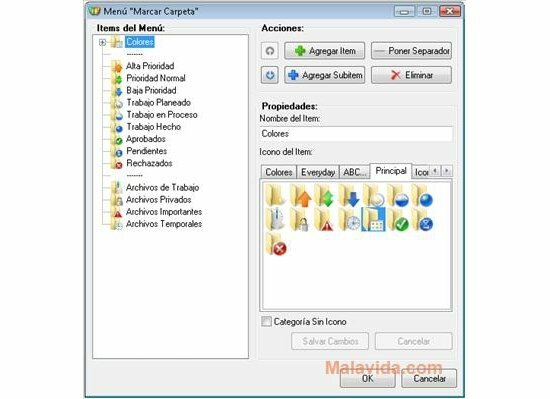 With Folder Marker all you have to do is open the program and select the folder that you want to change the icon of, and choose the icon that you want to use. 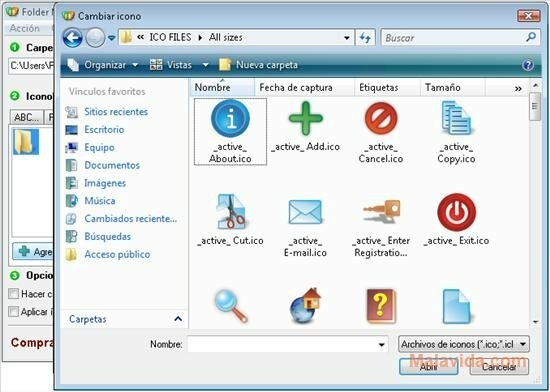 What's more, the program offers you the possibility to be able to add icons that have been imported. Other possibilities offered by Folder Marker are the possibility to change the icon of several folders at the same time, customize the "Marked Folder" menu, apply changes to the Network folder icon (to customize a LAN) and mark a folder icon as distributable, specially handy for a portable folder. Therefore, if you want a program that will allow you to customize your folders by changing their icon, download and try Folder Marker.